Gravitational waves are the last great prediction of general relativity to be directly observed. 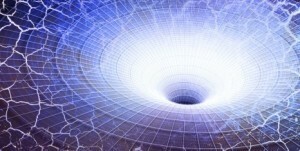 According to Einstein’s theory of gravity, a mass in motion creates ripples in space and time. Ripples caused by large masses like binary neutron stars or black holes should be large enough for us to detect across light years. But despite recent rumors, no gravitational waves have been detected so far. We’ve had indirect evidence of gravitational waves for some time. In 1974 Russell Hulse and Joseph Taylor observed the motion of a pulsar orbiting another star. Pulsars are rapidly rotating neutron stars that emit radio pulses in our direction. The timing of these pulses is very precise, so they can be used to measure the pulsar’s position and motion extremely accurately. What they found was that the orbit of the pulsar degraded over time as energy radiated away from the system. The rate of this energy decay matched the predictions of general relativity, confirming the existence of gravitational waves. 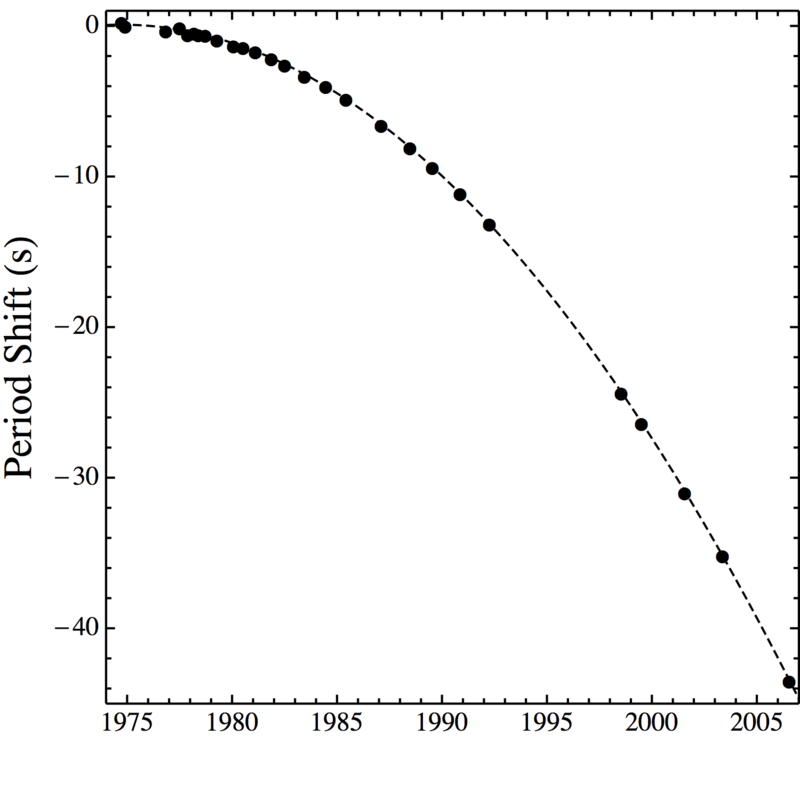 The gradual decay of a binary pulsar orbit due to gravitational waves. Around this same time, Joseph Weber attempted to detect gravitational waves directly. He noted that as gravitational waves pass through an object it is squeezed and stretched very slightly. Once distorted, the object would spring back to its original shape, which would create small sound waves within the object. 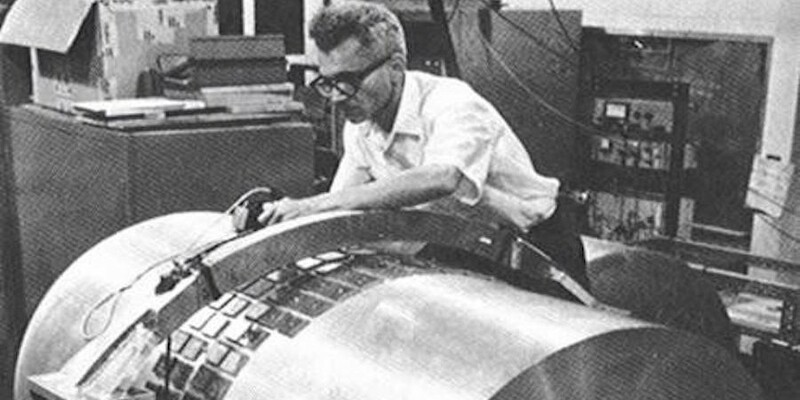 Although these sound waves would be small, Weber calculated that they would be detectible with piezoelectric sensors mounted on a large aluminum cylinder. The problem is that gravitationally induced sound waves would be small enough to be lost in the noise of thermal vibrations naturally occurring in the aluminum cylinders. So Weber used two cylinders spaced about 1,000 km apart. A true gravitational wave would create a sound wave event in both detectors, unlike random thermal noise. When Weber first performed the experiment, it seemed to work. He found about two dozen coincident events within a three month period. Within a year he claimed to have found a few hundred detection events. A slight difference in the timing of the events at each detector also seemed to imply the gravitational waves were coming from the center of our galaxy. This was big news, since it could imply a binary black hole in the center of our galaxy. Soon other teams were building their own aluminum cylinders and undertaking their own gravitational wave experiments. But these results found only random noise. By the end of the 1970s it was generally thought that Weber had not actually detected gravitational waves. So why did Weber think he had? The effect of a gravitational wave. It seems to stem from the subtlety of statistics. Suppose you and a friend each roll a dice a hundred times and write down your results. When you compare your results, you’d probably find that for some rolls you had the same outcome, such as both rolling a 3 on your 15th roll. You might even find two or three in a row that matched. While they would look like “simultaneous events” they occur because of random chance. The same thing can occur with Weber’s detectors, where random fluctuations happen to match by chance. Distinguishing a real signal from randomly paired events is hard, and it turned out that Weber’s analysis wasn’t sophisticated enough to distinguish the two. While Joseph Weber’s experiment failed to detect gravitational waves in the end, the project did stir up interest in gravitational wave detection. Modern efforts to detect gravitational waves such as LIGO have expanded on Weber’s idea of measuring motion induced by gravitational waves. Which just goes to show that even a failed experiment can be a success. If Hulse and Taylor reported their findings in 1974, while Weber’s paper was in 1968, then I guess they were working independently. What do you think about the star KIC 8462852, discovered by Kepler, that some speculate might have something artificial orbiting it? You used to work with Kepler. What does its light curve actually show?